The Chesapeake and Delaware Canal West watershed (C & D Canal) contains the C & D Canal, a navigational waterway to the Port of Baltimore maintained by the U.S. Army Corps of Engineers. The canal system provides a continuous sea-level channel connecting the Port of Baltimore to the northern ports of Wilmington, Philadelphia, and northern trade routes. The canal carries 40 percent of all ship traffic in and out of the Port of Baltimore. 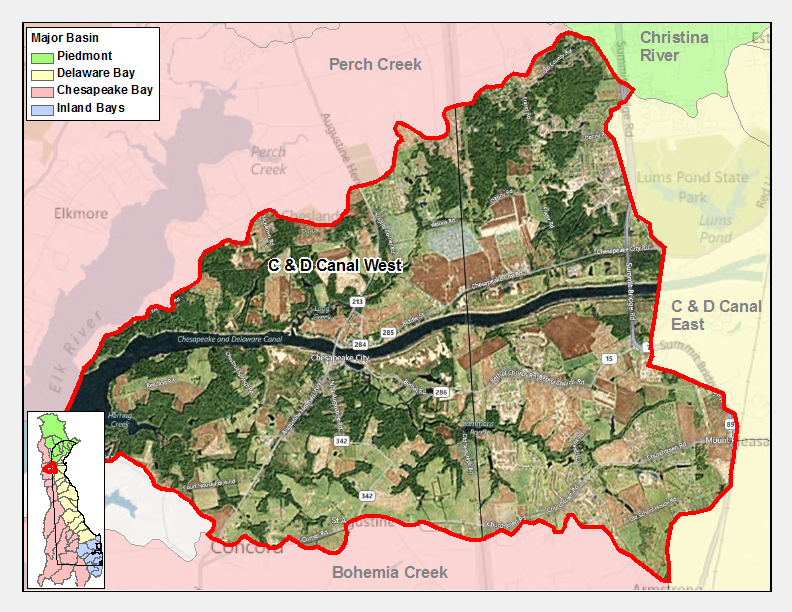 The Chesapeake and Delaware Canal West watershed is one of only three tidal watersheds in the Chesapeake Basin. Soil types include the Matapeake-Sassafras association described by the USDA-Natural Resources Conservation Service as "well-drained, medium-textured and moderately coarse textured soils on uplands". The C & D Canal West watershed has several notable waterways including Long Creek, Back Creek and Sammons Pond. 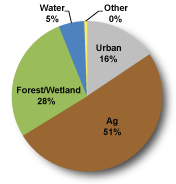 The majority of the C & D Canal West Watershed is agricultural with a small amount of development.